A 26th man would provide clubs with added depth at a time when player health is an increasingly significant concern. The roster limit in September, meanwhile, would end baseball’s practice of creating an entirely different playing environment when the regular-season games matter most, preventing teams from using their entire 40-man rosters in the final month. Management offered to address one of the union’s concerns, agreeing that any player who was optioned in September while on the cusp of qualifying for an extra year of arbitration would gain “Super 2” status anyway, sources said. 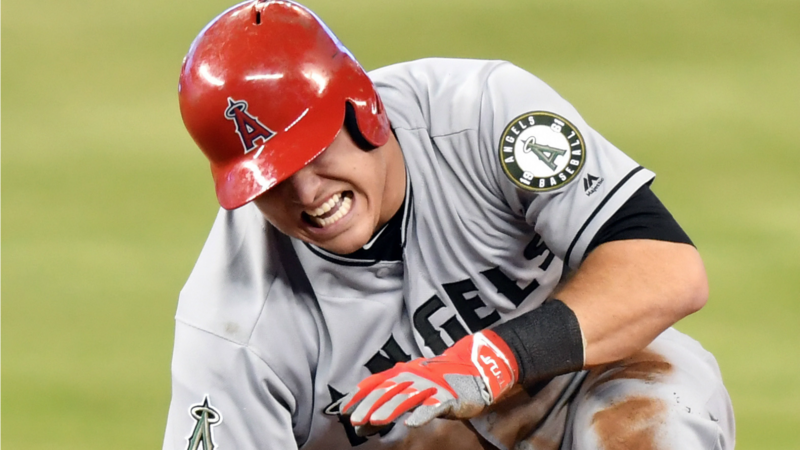 The trade market could offer an intriguing solution to the Cardinals’ lack of a middle-of-the-lineup force in the post-Albert Pujols, post-Matt Holliday era. 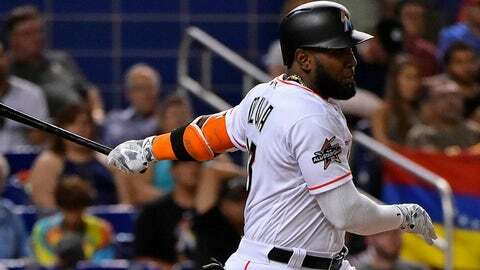 Ozuna, who is under club control through 2019, would be an obvious target for teams in need of an outfielder, and perhaps easier for the Marlins to part with than Christian Yelich, who is under control through ‘22. Through 56 games, Ozuna is batting .329 with 14 homers and a .961 OPS, and the advanced metrics portray him as one of the game’s top defensive left fielders. The Marlins know they are unlikely to extend Ozuna, whose agent, Scott Boras, generally prefers his clients to establish their values on the open market. They need prospects, and the Cardinals’ farm system ranked 12th in the majors at the start of the season, according to Baseball America. *Lost their second-round pick in last year’s draft after signing left-hander Wei-Yin Chen to a five-year, $80 million contract. *Included first baseman Josh Naylor, the Padres’ 13th-ranked prospect according to MLBPipeline.com in a trade for potential free-agent right-hander Andrew Cashner, who had a 5.98 ERA in 52 2/3 innings for the Marlins. *Traded right-hander Trevor Williams to the Pirates in a deal that amounted to compensation for the Marlins’ hiring of Jim Benedict as vice president of pitching development. Williams, the Marlins’ second-round pick in 2013, isn’t thought to have an especially high ceiling, but he has a 2.83 ERA over 28 2/3 innings in his last five starts with the Pirates. *Provided the Dodgers with three members of their current roster – catcher Austin Barnes, infielder Enrique Hernandez and reliever Chris Hatcher – and also parted with left-hander Andrew Heaney in a trade for second baseman Dee Gordon, right-hander Dan Haren and infielder Miguel Rojas. 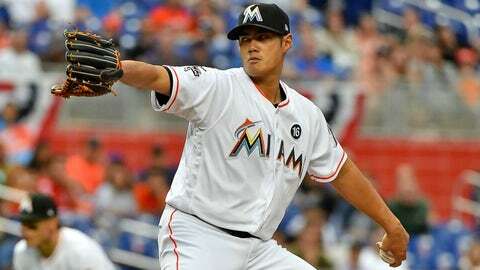 The Marlins, in fairness, also have made successful trades in recent years – Steve Cishek to the Cardinals for Kyle Barraclough; Nate Eovaldi, Garrett Jones and Domingo German to the Yankees for Martin Prado and David Phelps; Luis Castillo and two other prospects to the Reds for Dan Straily. They also selected first baseman Justin Bour in the Rule 5 draft. The point is that Loria has tried to build a winner – and might have succeeded, too, if not for the death of right-hander Jose Fernandez. The plan, though, is not working. The best choice now is to rebuild. In my latest Full Count video, I also explained the Mets’ reluctance to promote top shortstop prospect Amed Rosario, saying that the club does not believe that he has enough experience at Double-A and Triple-A. Well, the Yankees’ Gleyber Torres has even fewer plate appearances at those levels than Rosario, not to mention fewer than Xander Bogaerts, Corey Seager and Francisco Lindor did before reaching the majors, and than Manny Machado, Carlos Correa and Addison Russell as well. To this point, Torres has not been as successful at Triple-A (.767 OPS in his first 49 plate appearances). 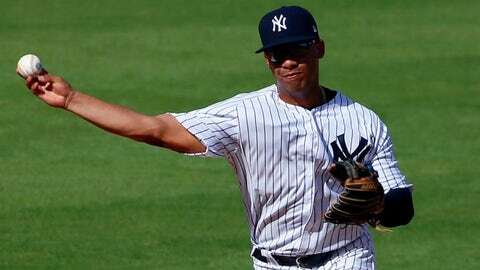 The Yankees have no set number for how many plate appearances he will need to complete his development, just as the Mets have no set number for Rosario. But if Torres starts to hit, the Yankees likely will want to give him a chance before sacrificing prospects for a rental third baseman such as the Royals’ Mike Moustakas or White Sox’s Todd Frazier. 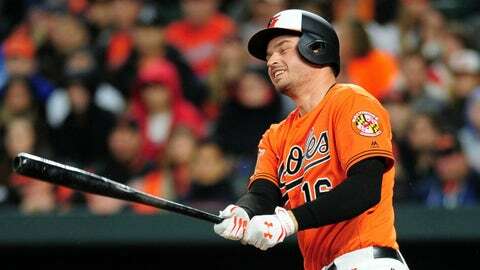 The Orioles’ Mark Trumbo says that every one of rookie left fielder Trey Mancini’s tools is better than they initially appear; he runs better, throws better, hits for more power, making for an all-around package that is above-average. Orioles GM Dan Duquette notes that even when Mancini was at Notre Dame, he wasn’t regarded all that highly. Two other Notre Dame players were selected ahead of him in the 2013 draft – infielder Eric Jagielo went to the Yankees at No. 26 overall and right-hander Dan Slania to the Giants in the fifth round. The Orioles took Mancini in the eighth round, with the 249th overall pick. Mancini played at every level of the team’s minor-league system and hit at every level, batting .306 with an .829 OPS in 2,053 plate appearances. The fear that Price might need Tommy John surgery proved unfounded; the doctors told Price that he had a “bionic elbow,” and the pitcher was relieved to learn that he did not even need a cortisone shot or platelet-rich plasma (PRP) injection. 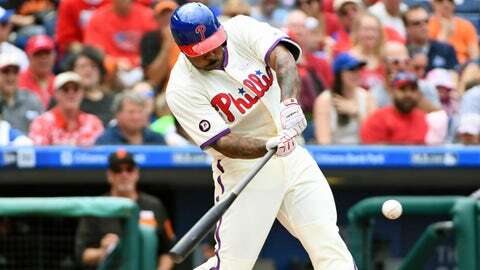 *At the moment, left fielder Howie Kendrick and reliever Pat Neshek appear to be the Phillies veterans with the greatest trade value – and reliever Joaquin Benoit, currently on the DL with a left-knee sprain, might be a third attractive piece once he is healthy. Bogaerts says he no longer experiences discomfort in his thumb on balls he hits, only on swings and misses and the occasional checked swing. He tried everything to ease the pain – a gel packet on his bat, a sock over his thumb – and is still using a rubber skin on his handle. It hurts him when his thumb rubs directly against the wood. * The number of placements on the disabled list are up in the first year of the 10-day DL, according to figures from MLB. The increase seemingly reflects, in part, the desire of teams to use shorter DL stints as a way to keep players healthier long-term. Through the first 64 days of the season, teams had used the DL 296 times. The numbers at the same stage from 2012 to ’16 were 256, 247, 244, 266 and 245.